This document explains how to remove applications from opening upon startup. 3. 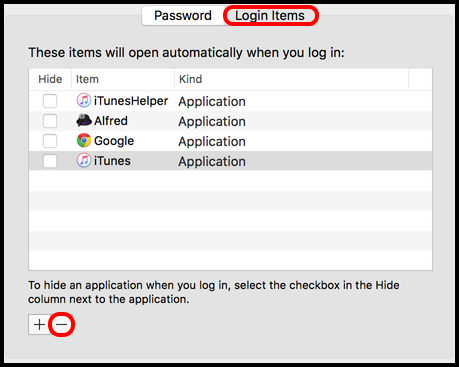 In the Login Items tab, just click the application you wish to remove from startup, and then click the Minus symbol near the bottom of the window.